This week we’ve had illness and end of school year. I cannot believe it’s came around so quickly. Before we went on the nursery trip Tyler was talking about his little girlfriend he has at nursery. 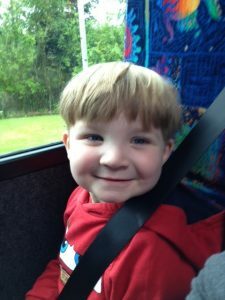 Tyler was on his nursery trip with me and we were on the bus together.